When I was a little girl, I loved to spend time in the kitchen watching my mother bake. She would make cookies and cakes and all sorts of delicious treats. Whenever she made pies there was always a little dough left over. She never threw it away. 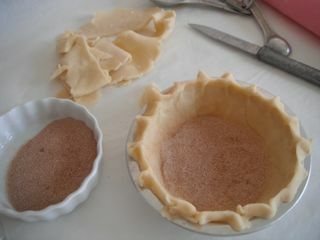 She would fit the scraps into a miniature pie pan to create a snack for my sister and I to share. If there was any pie filling left, she would add it or she might put in some apple slices. 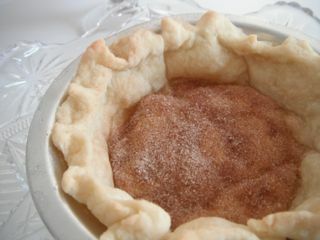 But more often than not, she would just sprinkle cinnamon and sugar in the crust and call it 'sugar pie'. 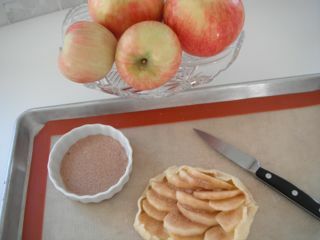 While I was baking for Thanksgiving I remembered mother's 'sugar pies' and it made me smile. 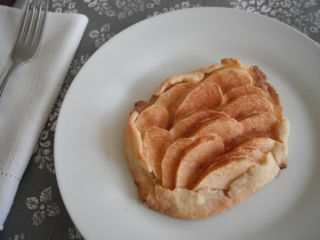 So, I gathered up some left over bits of dough and made a baby sugar pie and a little apple bundle for Addison and Maddie to share. So, here is to fond memories and for being thankful for all the blessings we have. May you enjoy the love of family and friends on this cherished holiday.